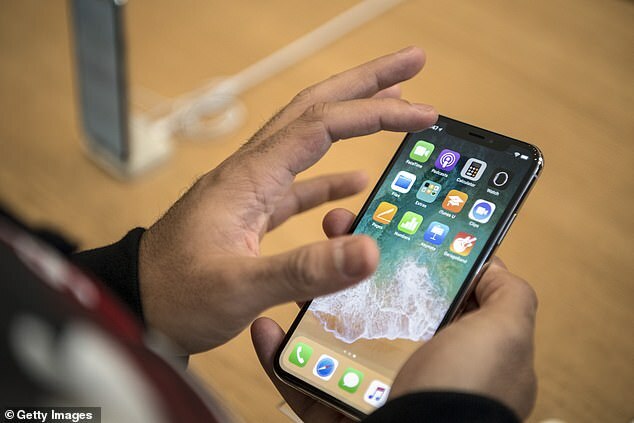 An IT employee at a hospital discovered a bizarre phenomenon that temporarily turns iPhones and Apple Watches into very expensive paperweights. Erik Woolridge, a systems specialist at Morris Hospital near Chicago, initially thought the issue stemmed from an electromagnetic pulse, but later found it was the result of something more peculiar - a helium gas leak. The incident began on October 8th when Woolridge began receiving several calls that cellphones weren't working in the building. A new GE MRI machine was being installed, so he figured it was emitting an electromagnetic pulse that was interfering with nearby devices. However, Android devices appeared to be working just fine, so it appeared to be limited only to Apple devices, like iPhones and Apple Watches. In total, about 40 users were impacted by the issue, he wrote in a Reddit post. 'The behavior of the devices was pretty odd. Most of them were completely dead,' Woolridge told iFixit, a device repair company. 'I plugged them in to the wall and had no indication that the device was charging. 'The other devices that were powering on seemed to have issues with the cellular radio. 'The wifi connection was consistent and fast, but cellular was very hit or miss,' he added. 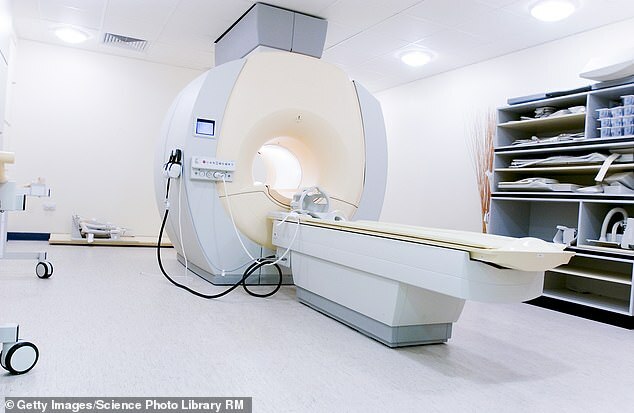 Not long after he published the Reddit post, users began replying suggesting that the issue actually could have something to do with the helium used to cool the newly-installed MRI machine. 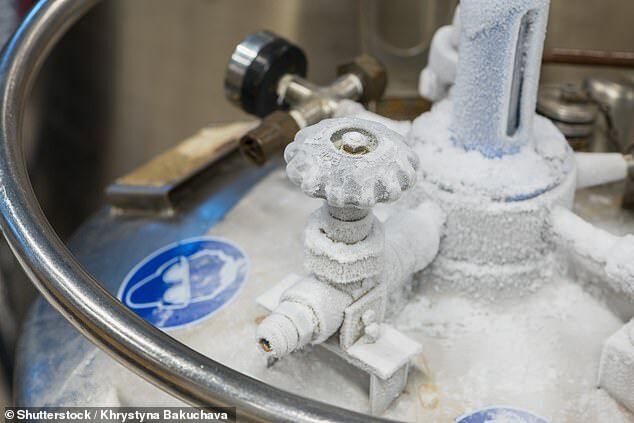 Woolridge discovered that a leak had caused about 120 liters of liquid helium to be vented into the building over the course of five hours, iFixit said. 'There was a vent in place that was functioning, but there must have been a leak,' Woolridge explained. Of the 40 reports he received, it included models of the iPhone 6 and higher, as well as the Apple Watch Series 0 and higher. He began to look into why helium was rendering these devices virtually useless. At first, he theorized that helium molecules may be interfering with the devices' microelectromechincal silicon (MEMS), a component that helps power a device's gyroscope and accelerometers. Gyroscopes are used for things like the iPhone's Compass app, to help determine whether the phone is pointed up, down, sideways, etc. Still, Android devices also use gyroscopes, so it had to be something else that was wigging out from the helium, Woolridge said. As it turns out, Apple recently made the switch from using quartz oscillator clocks to MEMS-based clocks. Clocks are one of the most critical components of many devices, powering essential things like the CPU. They're 'literally the heartbeat of a modern device,' iFixit noted. Woolridge discovered that helium had in fact infiltrated the iPhones and Apple Watches, causing the internal clock to malfunction. He tested the theory in a video where he put an iPhone 8 Plus in a sealed bag and filled it with helium. Around 8 minutes and 20 seconds into the video, the phone locks up completely. iFixit repeated the experiment and found that their iPhone 8 turned off after about four minutes. As it turns out, Apple addresses this issue in their user guide. 'Exposing iPhone to environments having high concentrations of industrial chemicals, including near evaporating liquified gasses such as helium, may damage or impair iPhone functionality,' the guide states. 'If your device has been affected and shows signs of not powering on, the device can typically be recovered. 'Leave the unit unconnected from a charging cable and let it air out for approximately one week. 'The helium must fully dissipate from the device, and the device battery should fully discharge in the process,' it continues. Apple goes on to recommend that users plug their device into a power adapter and let it charge for about an hour. After that, the device can be turned on and operated as usual.